Oral surgery is the oldest specialty of dentistry. It is dedicated to the diagnosis and treatment of diseases, injuries and defects of the teeth of the jaws and adjacent soft tissues requiring surgical intervention. The oral surgeon should have thorough knowledge of basic sciences for their profession as anatomy, histology and physiology, as well as the most common disease entities. In addition to training, surgical training and obviously a great manual dexterity, it is essential that the professional maturity of thought and holds great respect for living tissues. 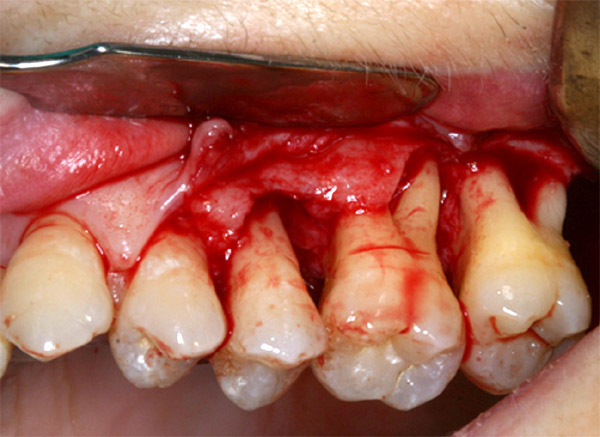 It is the most common intervention in oral surgery. Among the many indications for the extraction of these pieces we can mention the lack of space in the jaw for proper eruption, anomalous orientation that can damage neighboring teeth or crowded teeth, or problems with swelling in the gum by a rash incomplete, which can lead to chronic infection in the gums around it. Sometimes a tooth extraction can be complicated from a surgical point of view. For example if the patient has significant systemic disease, has recently undergone radiotherapy or suffer clotting disorders, if the teeth are destroyed, and so on. In this case, the oral surgeon brings surgical skills to solve the problem. Are interventions that are performed prior to the placement of a prosthesis. Consist of conditioning the gums or jaw bone or mandible to facilitate proper alignment of the prosthesis. We can also include in this type of surgery, the placement of bone grafts for posterior placement of implants.